Allevate is now offering Tygart’s new MXMOBILE™ FaceID System for smart mobile devices to enable European government and law enforcement agencies to access an MXSERVER™ system to identify faces on the move. London, UK 6th August 2015– Allevate Limited today announced that, working cooperatively with Tygart Technology, it is now offering Tygart’s new MXMOBILE™ FaceID System for smart mobile devices to enable European government and law enforcement agencies to access an MXSERVER™ system to identify faces on the move. MXSERVER is a cloud-architected system that processes vast quantities of video and photo collections to transform these digital assets into searchable resources by using face recognition. By leveraging the power and benefits of modern mobile technology, the MXMOBILE FaceID System brings the same power and face recognition analytic capabilities of MXSERVER onto smart mobile devices to lower the cost and improve the accuracy of remotely identifying individuals in the field. This capability enables an officer located anywhere in the world to capture and upload a photograph to determine the identity of a subject within seconds. “MXMOBILE represents a huge technological leap forward for agents in the field, providing them with the capability to identify individuals using facial recognition in virtually real-time,” says John F Waugaman, President of Tygart Technology. Agents can now transmit photos or videos captured on their smartphone through the MXMOBILE application, to be processed by MXSERVER using automated face detection and recognition technologies. 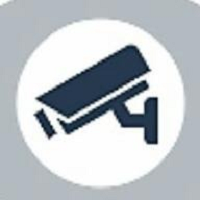 The faces in the photos or videos are then matched by MXSERVER against watch lists to almost instantly offer a short, rank-ordered list of options that best match these faces, along with any other relevant information such as biographical information, known aliases and previous comments regarding the individual. In addition to field use for the identification of persons of interest (POI), law enforcement agencies can make MXMOBILE available as a citizen policing tool, providing citizens the ability to upload videos and photographs of suspicious behaviour. Visit us at https://allevate.com, email us at contact@allevate.com, call us on +44 20 3239 6399, follow us on Twitter at @Allevate and follow us on LinkedIN at :http://www.linkedin.com/company/allevate-limited. Sirs we apreciate if you send more information for fave recognition from smart phones and all about security systems.